According to a Thursday report from Bloomberg, people familiar with the FBI's data gathering operation said the agency worked with Cellebrite Mobile Synchronization Ltd., a division of Japan's Sun Corporation, to gain access to Farook's iPhone. On Friday, CNN Money cited its own inside sources as saying a "brilliant" hacker in Seattle managed a group of "elite" Cellebrite engineers to accomplish the exploit. Both reports seemingly corroborate claims made last week by Israeli publication Yedioth Ahronoth, though the exact method by which FBI agents gained entry to the iPhone unit remains secret. Neither Cellebrite nor the Justice Department have confirmed the rumors. Confusing the matter, however, are statements from two unnamed law enforcement officials, who on Friday told CNN Cellebrite was not involved. Despite these new claims, circumstantial evidence suggests the firm was indeed contracted to bypass Apple's security measures. Government records indicate Cellebrite signed a $218,000 FBI contract the same day Justice Department representatives announced Farook's device had been cracked. 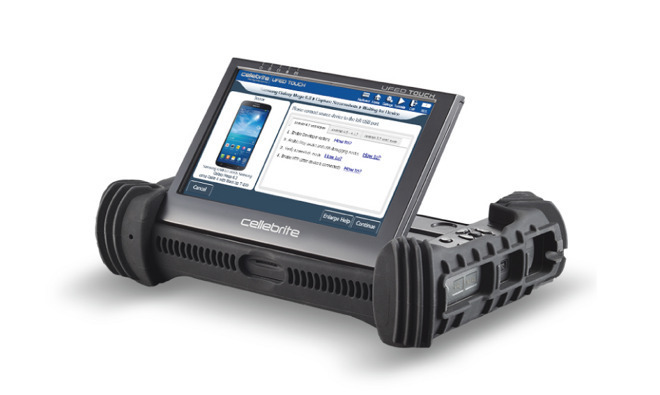 A longtime Cellebrite customer, the FBI previously inked at least 187 deals over the last seven years for forensics tools averaging $10,883 each, but last week's agreement was the largest to date, CNN reports. Riding a wave of publicity drummed up by the DOJ's announcement on March 21, and the initialYedioth Ahronoth report last week, Sun Corp. shares jumped more than 40 percent to hit a 2016 peak of 1,245 yen on Wednesday. As for Apple, the company's attempts to gather information about the FBI's data extraction technique have been fruitless. Whether Apple has standing to force the issue in court is unclear, but security experts say leaving the vulnerability unpatched puts hundreds of millions of iPhones at risk.